This review of Roger's is a little different for me than many of the others. This was not a movie that I loved, but I did think it was very good. A lot of people, however, do love The Usual Suspects . It is rated #22 with an 8.7 rating on IMDB. It is a very popular movie. I enjoyed it. I thought it was interesting and I am still surprised by it every time I see it. Was it hard to follow? Yes. But it was hard to follow in the same way that Memento was. It was fun to try to figure out what was actually going on. Roger takes notes during the movies and said "my comprehension began to slip, and finally I wrote down: 'To the degree that I do understand, I don't care.' " Roger thought the movie was manipulative. (Here is a link to his review). Although not one of my favorites, it is much better than the one and a half stars that Roger gave it. It has to go down as one of his worst reviews. The big problem with this movie is that it relied entirely on the twist in the end. That means if you look for value during the first two acts, as Ebert does, you're not going to find a whole lot. There's just not much substance there. The characters are well-acted but one-dimensional (what can you say about any of them, except that one guy talks funny?). There's 30 minutes of plot stretched to 90 minutes of screen time. The visuals are kind of bland. It also means this movie doesn't stand up well to repeat viewings. Have you come back to it, knowing how it ends? It's downright boring. Ebert also highly values courage of filmmakers. What's new here? Before the final 10 minutes, I can't name a single thing that's new. It's pure cliche. A 2-star movie can't be redeemed by a good final 10 minutes. He also didn't understand the plot. He made it sound like the five guys thought of the plot of their own accord, instead of being blackmailed into carrying it out. He also clearly missed the part where Kobayashi reveals that it was Hockney who perpetrated the initial hijack. Details like these show Ebert to be inattentive while watching the film - although, then again, maybe this means Ebert truly was bored. What Ebert missed on this was that it was about a guy telling a story. For some reason, he assumed that the guy was telling the truth which is why Ebert's note taking actually worked against him in this one. It's not a twist at end, it's the revelation of the truth. I watched heat the week before watching this movie. 90% of Heat was awesome but the ending was average at best. This movie was the opposite 90% of the movie was average at best but the ending was awesome. He probably would've enjoyed it a little more if he just watched it, instead taking notes. Also a movie, just like a symphony, a play, or a video games, doesn't have to have replay value to be entertaining. I think its worthy of rewatching, but twice is enough. Keiser Sosse was Kevin Spacey...SAME INITALS...Was this intentional or a coincidence? A good twist should reward a second viewing. It should recast the events before the twist in such a way that when you watch it again, it's almost like you're seeing a completely different film. Take Shawshank Redemption for example. The twist rewards you by making what seems to be a prison drama into an escape film. Now when the Warden shows up in Andy's room you think to yourself "Don't look behind the poster!!!" It's awesome. The Usual Suspects does not do that. It in fact completely mangles a decent film noir by making the entire movie up to that point just some guy's rambling story designed to fool the cops. Kobayashi is no longer this menacing presence but the name of a darn porcelain company. Are you kidding me? I remember getting to the end of that movie and feeling like Ralphie from A Christmas Story after he decodes Little Orphan Annie's secret message. What a gyp. 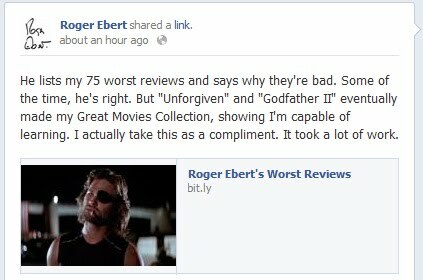 I disagree with you about Ebert. I don't think he is a very adept reviewer. I believe he lacks the brain power... Way too many bad reviews and to many "I don't get it". Anyway, Usual Suspects is not difficult to follow. It is in my top 25 movies of all time (****) The ending can not be beat and leaves you wanting more; the best accolade for a movie. it is overrated. You said it that it was hard to follow, and just the twist doesnt make a film better like the overrated Fightclub. Kaiser Soze was named after Christopher Macquarie's(screenwriter) supervisor at his old job with the same first name. I also didn't like this movie, the reason for me was that Kevin Spacey's smirky poker face is terrible and I guessed the twist almost immediately. I didn't like Usual suspects and I consider it very overrated. The original Diaboliques (in french) is a far better twist movie. Even Primal Fear is better IMO.